Manufactured in wipe clean material for infection control. 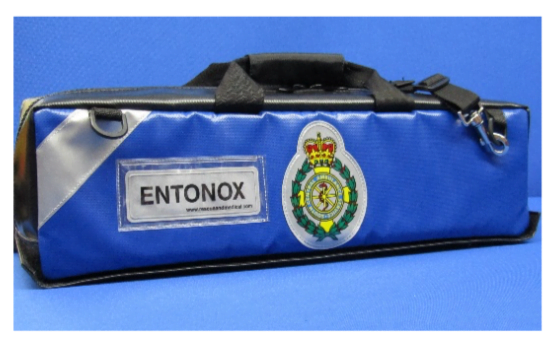 Box bag that does not roll over, for CD oxygen and Entonox cylinders and ancillaries. 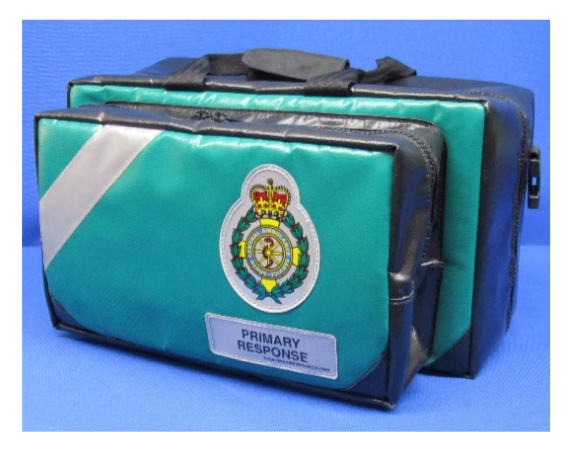 Exterior: twin zip top flap with ID sleeve, removable skid sheet (fuel and chemical resistant), top grab handles and large padded shoulder strap, reflective tape and ID sleeve. Crests and logos to order. Interior: the top flap has zipped mesh pouches for masks and therapy tubes. 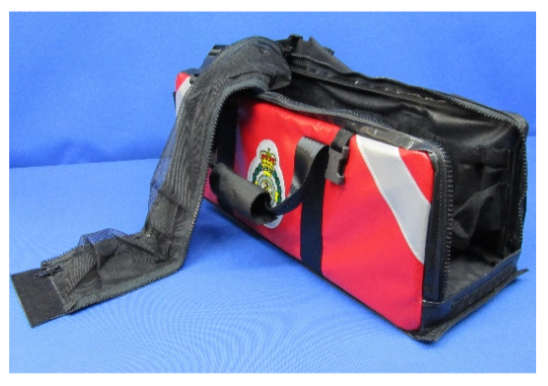 The sides of the bag have fixed mesh pouches and airway organisers, a wipeable inner surface, and non-slip cylinder pad. 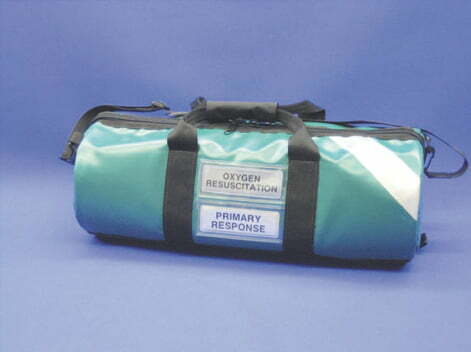 Robust, wipe clean barrel bag with bottom skid sheet, top grab handle, removable shoulder strap and label sleeve. 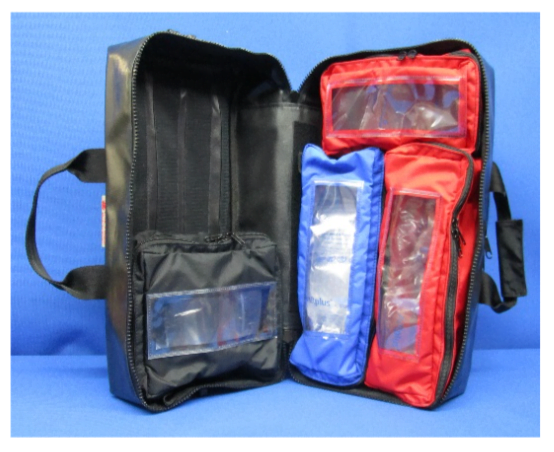 Inside 4 x mesh pouches and elasticated for airway management, plus neoprene cylinder pad. Many colours available, logos and labelling if required. 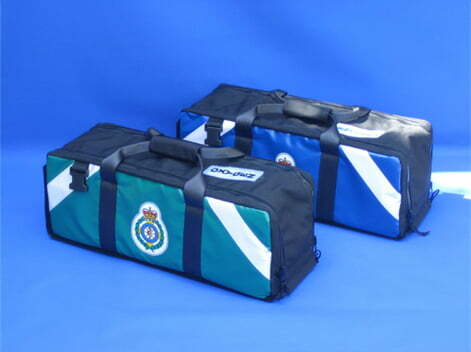 Modular systems designed for EMS Response Units including Ambulance, RRU and Paramedic Practitioners etc. 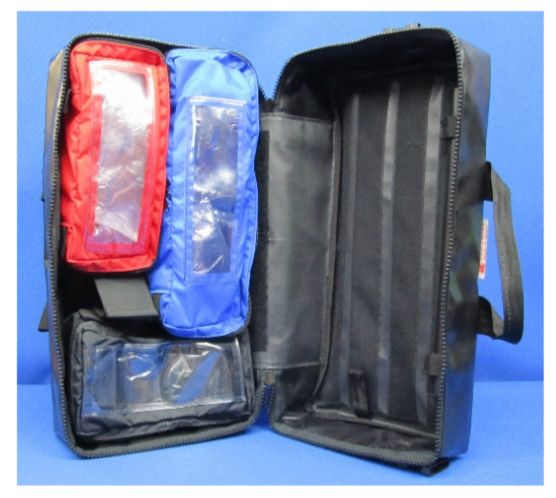 Fully organised and colour coded inner pouches that can be sealed and labelled for Make Ready management. Materials used are chosen for easy cleaning for Infection Control System. 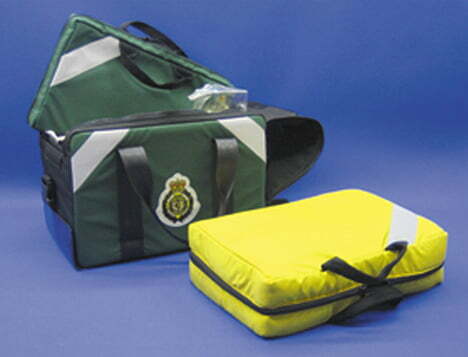 Packs shown here are used by the South East Coast Ambulance Service NHS Trust. 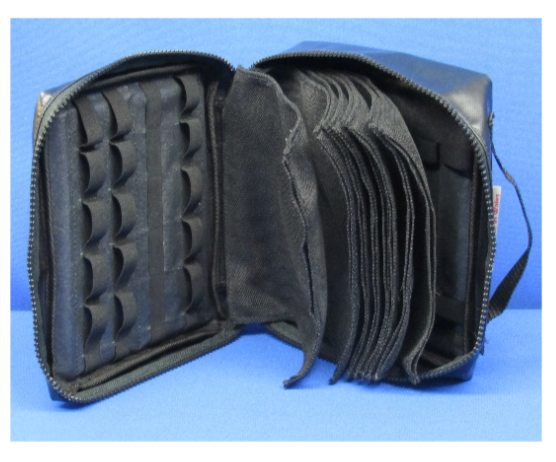 These modules will attach with SR25 buckles to the Primary Bags making a fully integrated and interchangeable system. Available in I/C wipe clean material for infection control. Exterior: twin zip- opening bag, with reflective tape and ID sleeve. Crests or Logos to order. Detachable bottom skid-sheet and top grab handles. 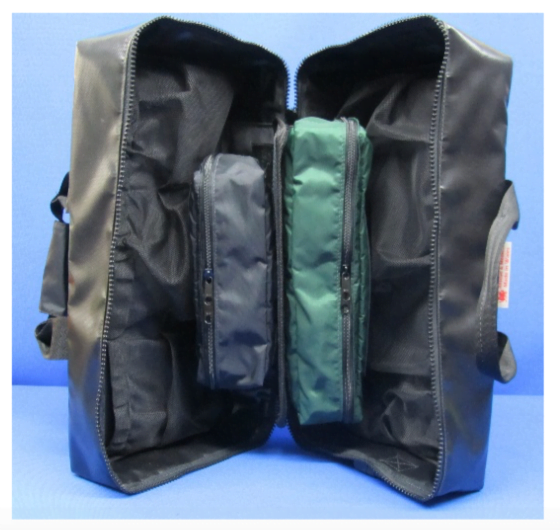 Interior: two removable, windowed, zip opening pouches, a removable equipment board, with pre-spaced elastic straps. 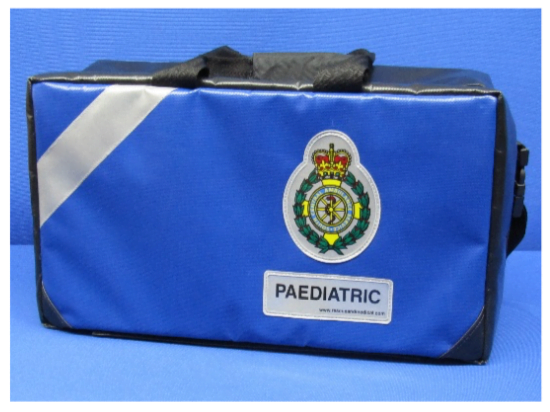 This is a fully organised Paediatric vehicle bag. 1. 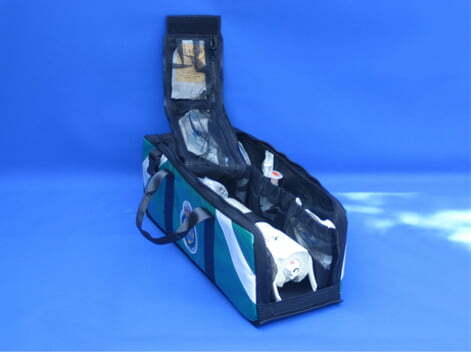 Airway management – with elasticated centre-board for laryngoscope, blades, tubes etc. 2. 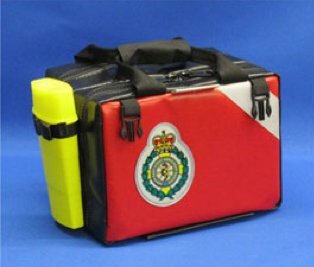 Dressings – both airway and dressing modules have removable colour coded, zip opening windowed pouches. Manufactured in wipe clean material for infection control. Roomy pack to hold collars, top zip and grab handles. Front reflective tape and ID sleeve. Crests and logos to order. Available in a range of colours. 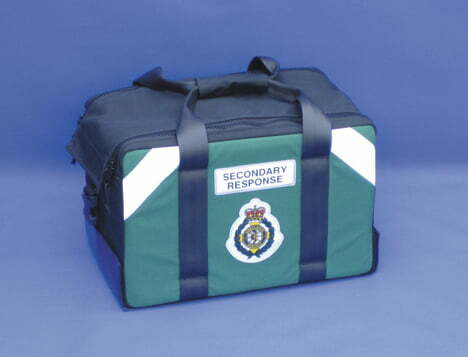 Manufactured in I/C material, this is a very organised response drug bag. 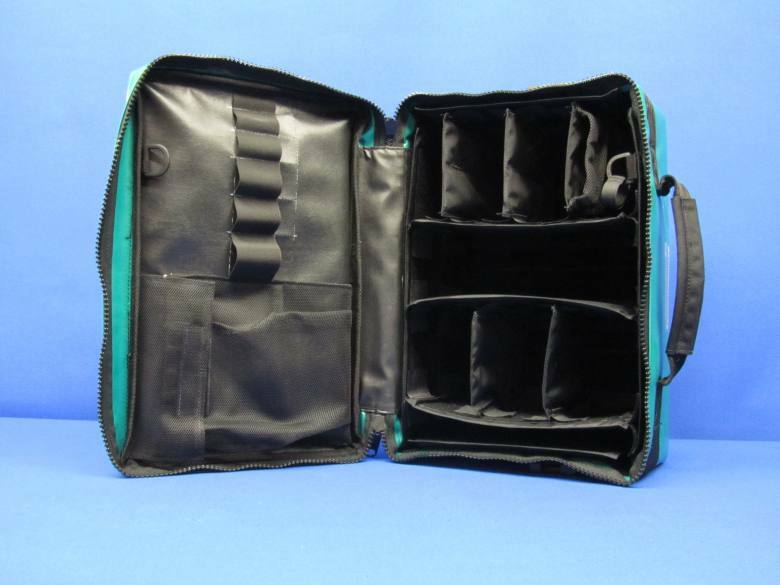 A5 ID sleeve on outside, top grab handles and main bag attachment buckles. 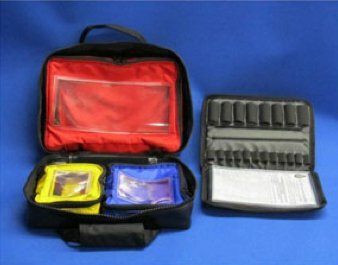 Inside one large cardiac pouch for boxed Adrenalin, two separate removable pouches, detachable padded centre board for syringes, prefilled and ampoules. Attachment buckles are for Cannulation Module. Compact module with a single top grab handle. One side has pouches for fluids & IV sets and the other side two rows for cannulas. There is an elasticated centre board for syringes etc. 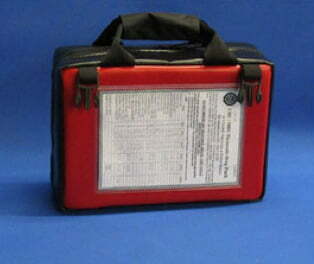 Manufactured in I/C material and will attach to the Small Drug Bag. Manufactured in I/C Material designed for Make Ready systems. 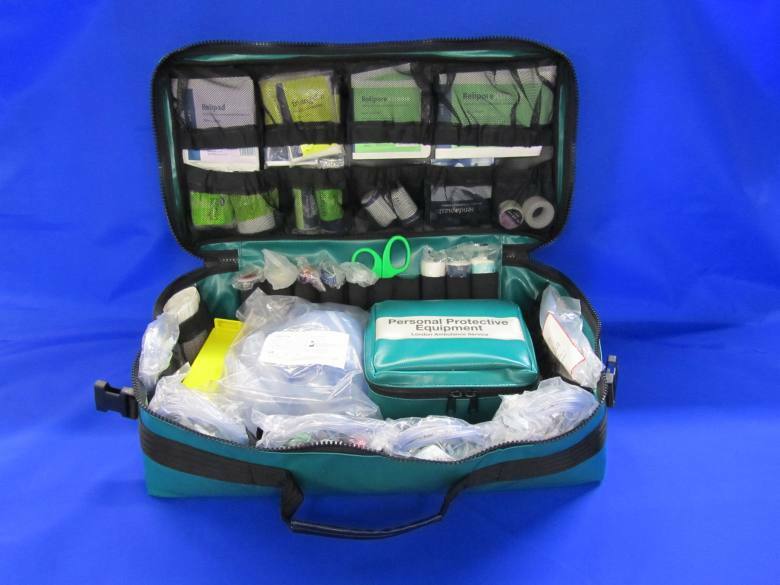 This compact organised Drug Bag has detachable windowed pouches complete with ID sleeves and twin padded centre board for ampoules, pre-fills, etc. ID sleeves either side. 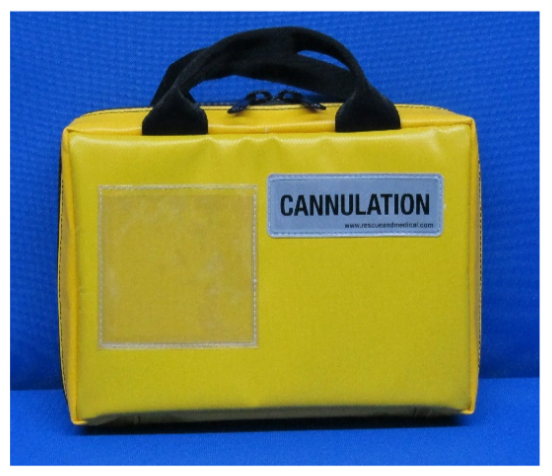 Cannulation section has a combination of a pouch for fluids, two cannular rows and an organised centre board for syringes etc. The exterior has sharp box attachment straps, twin grab handles and buckles for Module attachment. Also available with unique numbering, sewn-on for ID traceability. 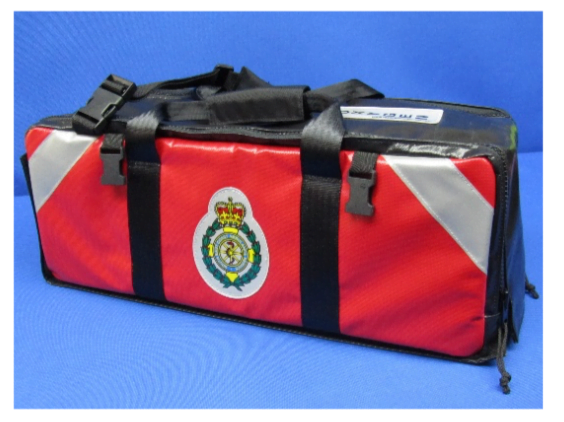 Top carry handle, detachable shoulder strap and twin zip main compartment with removable, colour coded pouches. 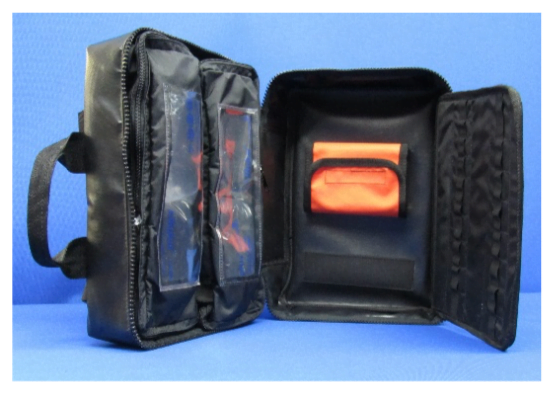 All pouches have windows and ID sleeves for contents list. 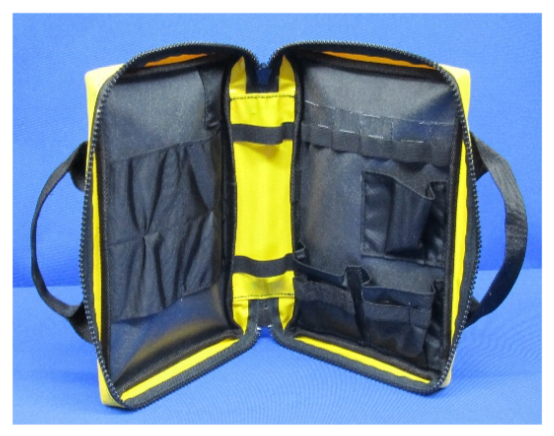 Larger twin zipped front pocket for modules with inner document sleeve and bottom skid sheet to reduce ware during locker storage. Space for customers own modules. 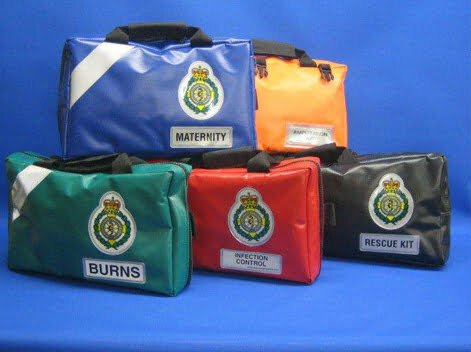 As Primary bag, with a different sized selection of colour coded pouches for secondary equipment. 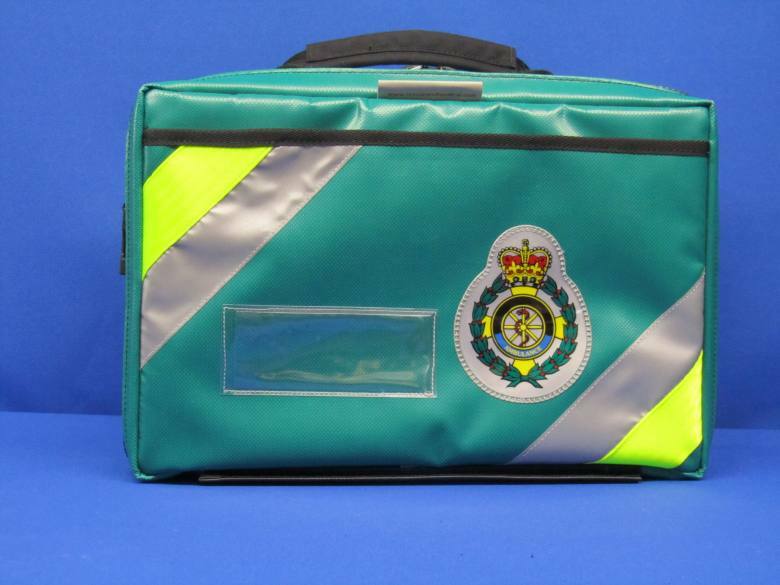 The zipped front pocket is for intubation and cannulation modules. Also available with centre board for extra organised pouches. Space for customers own modules. Top carry handle and removable shoulder strap. 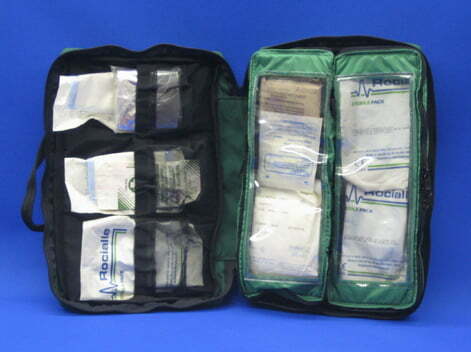 A selection of large detachable pouches for delivery pack, etc. 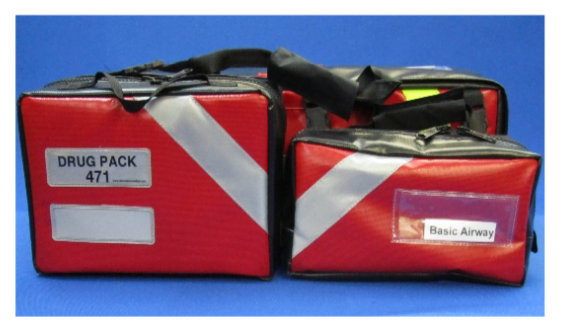 One side labelled maternity, the other side has smaller sealed pouches for Paediatric use. Bottom skid sheet included to reduce ware during locker storage. Also available with centre board for extra organised pouches. A stand-alone pack made in heavy duty Vinyl. Will fit inside Secondary Bag. Fully organised for blades and handles. ET Tubes have organised envelope system. Sealable twin zips. Heavy duty pack labelled with contents sleeve. Inside, one side is organised for Venflons, the other for flat packs, syringes, tape, etc. 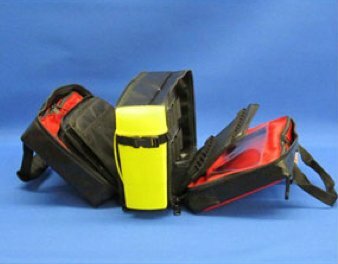 Compact bag for CD cylinder with fixed cylinder retention and fixed mesh pouches along the inside for oxygen mask organisation. Twin zip opening, with top carry handle and metal dog clip, detachable shoulder strap and bottom skid sheet. Robust construction. 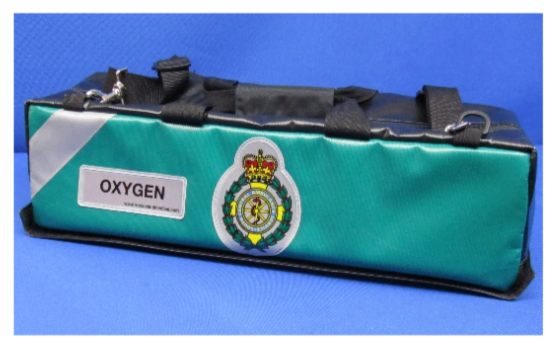 Very much the same as the above Oxygen pack, but reduced in width. 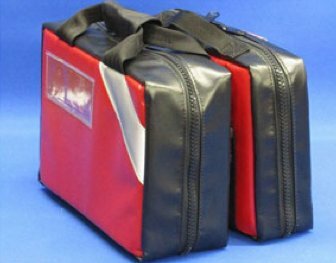 Ideal compact locker storage pack, with bottom skid sheet and removable shoulder strap. 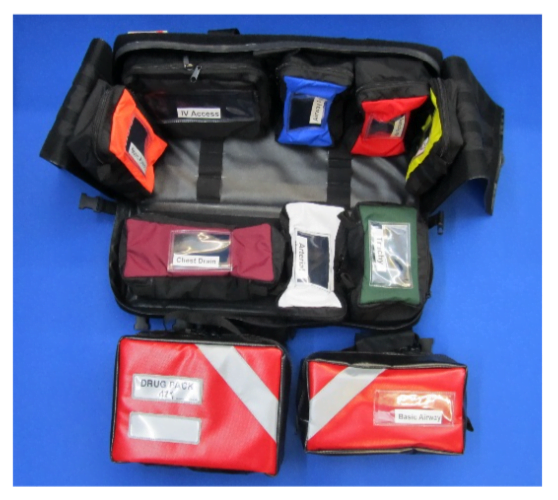 Organised internal fixed mesh pouches for first responder equipment, including BVM, air way management, etc. 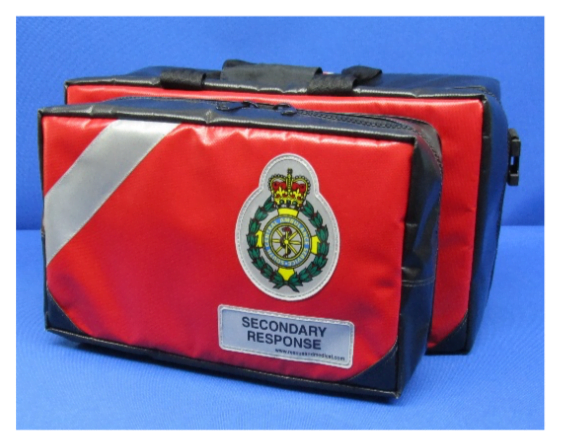 CD cylinder retention and inner base, twin zip opening top flap with oxygen mask pouches. 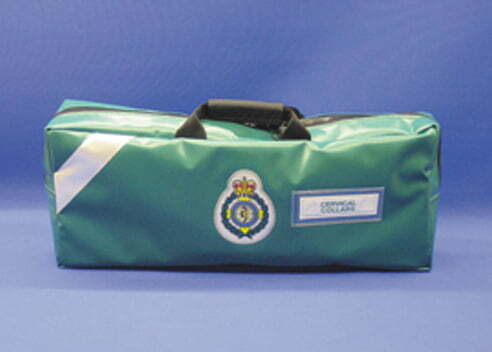 Manufactured in heavy duty, wipe clean Vinyl with top carry handle, shoulder strap and bottom skid sheet. A very robust, high volume box bag. 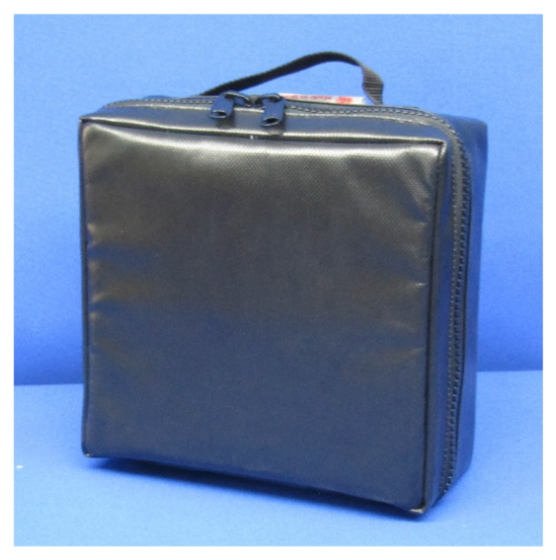 This wipe clean, zipless pack comes complete with two external detachable modules. 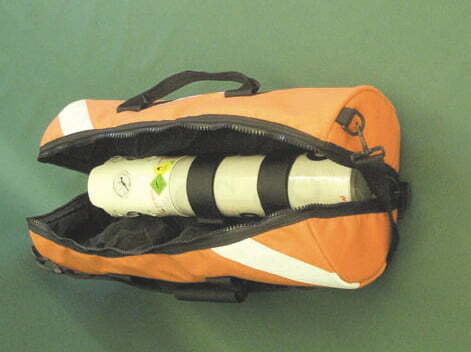 The Critical Care drug bag and the Basic Airway pouch. 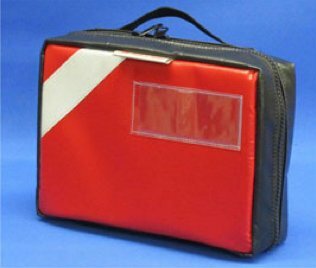 There is also a large external document pouch. The main pack opens completely flat and can be hung vertically. 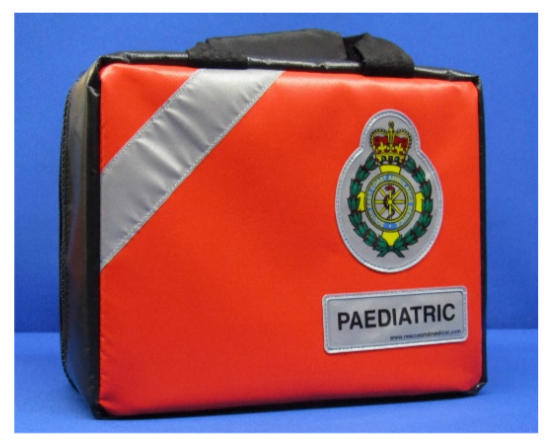 All the internal, colour coded labelled pouches can be easily identified. 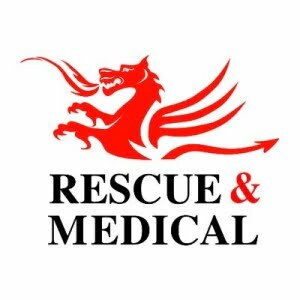 IV Access, Basic Airway, Advanced Airway, Airway Access, Trachy, Chest Drain, Miscellaneous and Arterial. 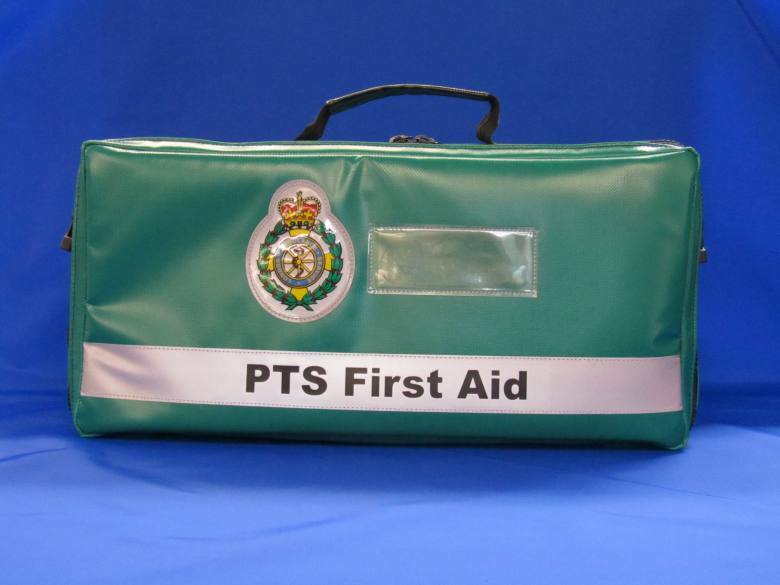 I/C Vinyl wipe clean, Velcro free, organised first aid dressings pack for PTS. It has a top carry handle and shoulder strap. 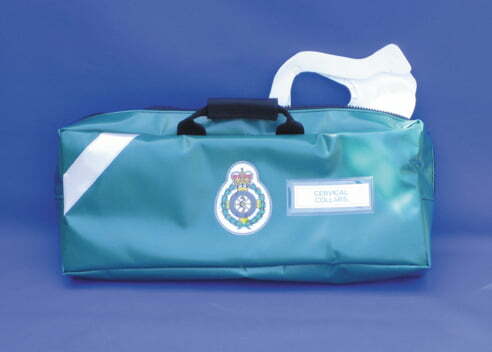 Manufactured in I/C wipe clean Vinyl, it has a front document sleeve, top carry handle and shoulder strap. Inside are moveable sections to organise dressings. The lid has a mesh pouch and elastic organised loops.